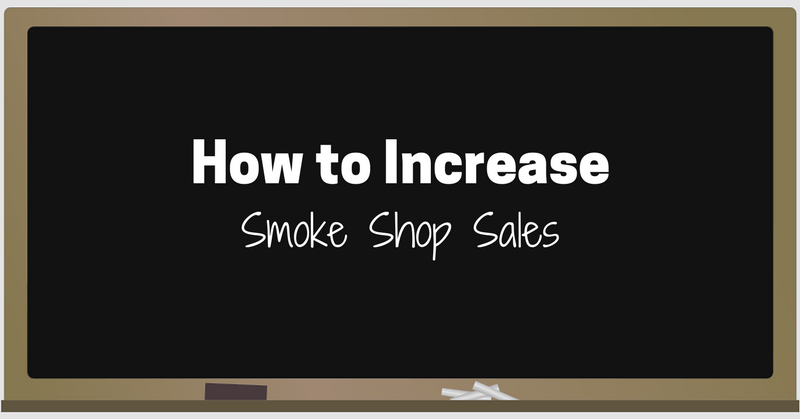 You may be surprised to find out that smoke shops and head shops are one of my most popular verticals for SEO and online marketing. There are thousands of smoke shops across the United States, and to be honest, there’s only about 50 who are really doing things the right way. With that being said, I know how busy these owners are and I know a lot of them are personally working in their shops every single day for 12+ hours. So here’s an easy list to help all of these head shop hustlers to start increasing their sales. If you’re not showing up in the top 3 results when you search for “smoke shops” or “head shops”, then guess what – the only people who are finding you are the ones walking or driving by your shop. People are searching online for these businesses when they’re in need of some smoking supplies. SEO for head shops is a crucial component for capturing those customers who are ready to buy. Need to Improve Your Visibility? The SEO Hermit can help you increase sales! You might think it’s obvious, but this is one of the most important ways to get more customers in the door. Customer reviews are important for SEO and you can be absolutely positive that when you’re in the top 5 results for customers searching for “smoke shops”, they’ll end up going to the one that has the best and most reviews. Social media marketing is incredibly important for this industry (I hope you already know that). There are benefits to using all of the channels, but I’ll let you in on a little secret. Instagram is king (for now). At the very least, you need to be utilizing it daily. Ideally, you should be posting around 3 times a day. Instagram stories are an absolute must and you can (and should) be posting stories 3-12 times throughout the day. The great thing about stories is that they can be very informal and more fun. Throw up a picture of some new glass you got, snap one of your employees with a selfie – basically, just have fun with it and make interesting content intended for quick consumption. This is a tough pill to swallow for a lot of you. You want to keep your inventory and prices private from competitors. I get it. You don’t need to expose your prices, but you do need to showcase the products you’re getting. E-commerce is changing the way we shop and, for most people, if they can’t browse what you’ve got in the store beforehand, you’ve probably missed that sale. Take good photos of your shop’s setup, product showcases, and new products. These photos are crucial to your Instagram strategy and the website. Email marketing isn’t dead. In fact, I see it as the #2 channel behind SEO for a lot of my clients. Your website should be collecting email addresses of visitors. OptinMonster is a great service to help with creating the email opt-in popups to integrate with your website. Once they sign up, you can automatically send them a discount or coupon to use in-store. You should also be asking for customers’ emails when they are checking out. Using Mailchimp, you can input the customer’s name and email address directly on a computer or tablet near your POS. You can even get more intricate by categorizing them by what products they bought so that you can run targetted campaigns to them in the future (e.g. they bought glass, then you can send them an email about glass cleaner in a few weeks). If you need help with fully utilizing email marketing for your shop, send me an email at info@seohermit.com. My team and I can help you set up your opt-ins and email automation. Increasing sales doesn’t have to be hard! Now, I’ve never personally operated a brick & mortar smoke shop, but I’ve dealt with enough of these head shop owners to know the in’s and out’s of the industry as well as the biggest struggles that they’re facing in 2018. Frankly, they aren’t that hard to fix if you’re open to adapting to modern technology and trends. E-commerce is coming and taking a large chunk of this business, but there’s still a massive amount of consumers who want to physically see these products and buy them the same day, so let’s take advantage of this! The SEO Hermit & team can help you start increasing sales with all of these initiatives. If you’re interested in learning more, give us a call at (888) 803-0843 or schedule a free consultation. Hello, just wanted to thank you for the article. I am a new business that is getting started in the Smoke Shop industries and found the advice priceless. Once I get my shop situated I’ll definitely give you a call for that free consultation. Thanks again.